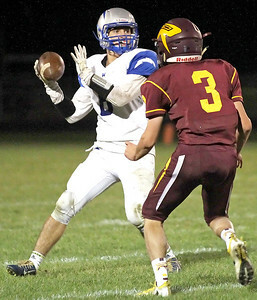 Candace H. Johnson-For Shaw Media Woodstock's Michael Gardner looks to pass against Richmond-Burton's Benjamin Orkild in the second quarter at Richmond-Burton High School. Candace H. Johnson-For Shaw Media Richmond-Burton's James Harner is tackled by a Woodstock's Dane Clute in the first quarter at Richmond-Burton High School. 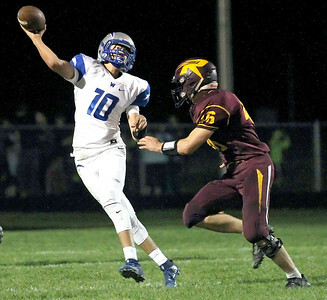 Candace H. Johnson-For Shaw Media Woodstock's quarterback Michael Purkey makes the pass against Richmond-Burton's Michael Kaufman in the second quarter at Richmond-Burton High School. 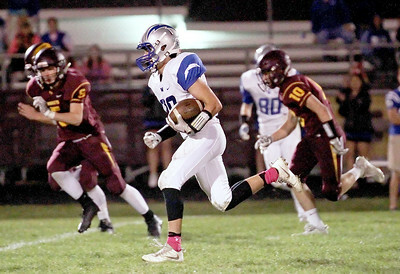 Candace H. Johnson-For Shaw Media Woodstock's David Shinherr runs towards the end zone for a touchdown against Richmond-Burton in the fourth quarter at Richmond-Burton High School. 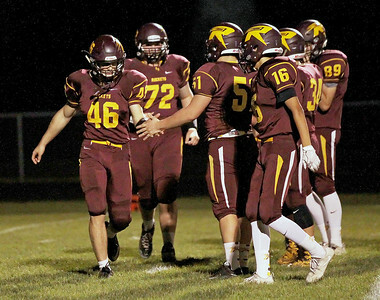 Candace H. Johnson-For Shaw Media Richmond-Burton's Michael Kaufman celebrates his touchdown with Joshua Dumont against Woodstock in the first quarter at Richmond-Burton High School. Candace H. Johnson-For Shaw Media Richmond-Burton's varsity cheer squad shows off their pyramid at half-time during the varsity football game against Woodstock at Richmond-Burton High School. 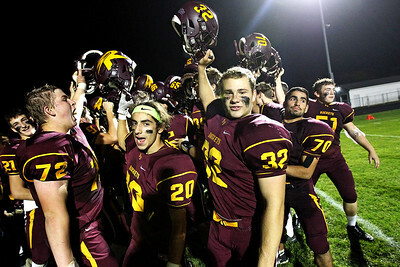 Candace H. Johnson-For Shaw Media Richmond-Burton's varsity football team celebrates clinching a playoff berth after having beaten Woodstock at Richmond-Burton High School. 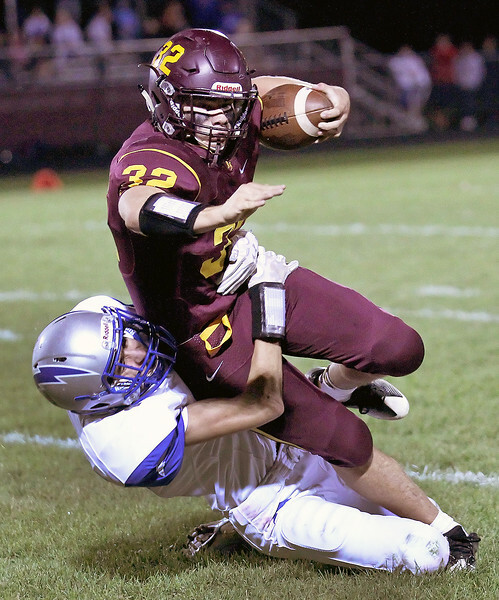 Richmond-Burton's James Harner is tackled by a Woodstock's Dane Clute in the first quarter at Richmond-Burton High School.